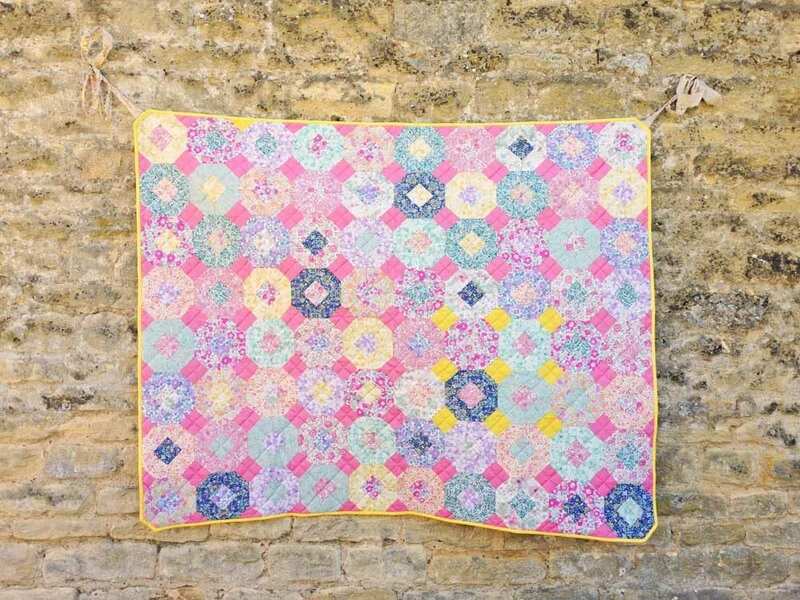 One of my customers Tracy Aplin has made this Beautiful Quilt for the Quilt SOS project. She wanted to make a quilt using my exclusives. Yes I thought! Here it is. Gosh I really love the use of plain colours alongside the delicate tones of the exclusives. 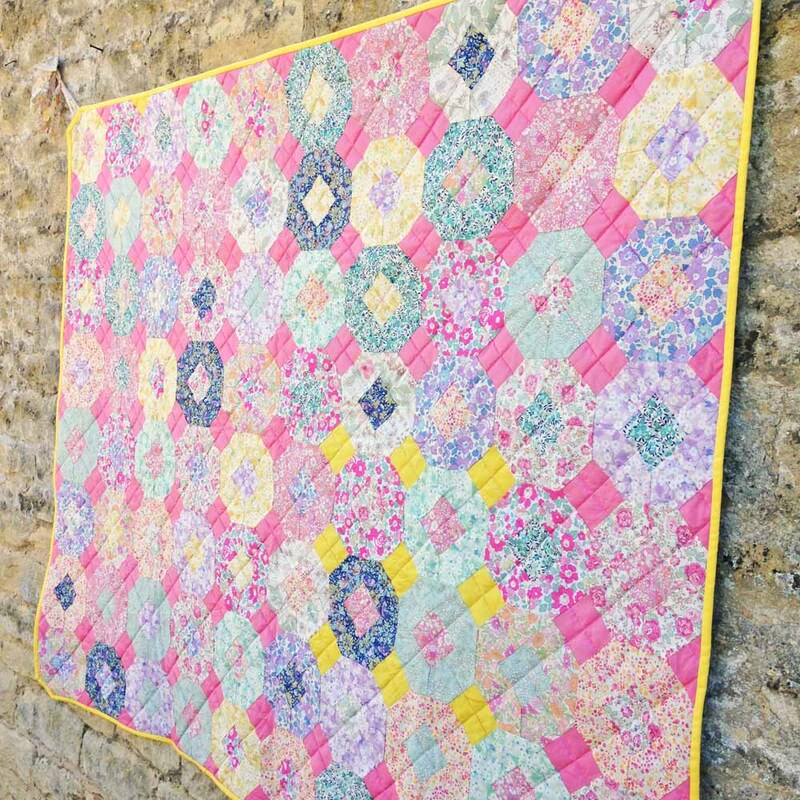 Tracy hand pieced the quilt top using a pattern by Judy Newman called Emma Mary. It comes in templates making it easy to cut with a rotary cuter and hand sew. Here’s Tracy’s work in progress. She really enjoyed making it but also says that she wants to make it again in a bigger selection of Liberty. One of the things I love to hear about Tracy’s sewing is that she takes her sewing on holiday. She finished this one off on holiday in France in the summer. 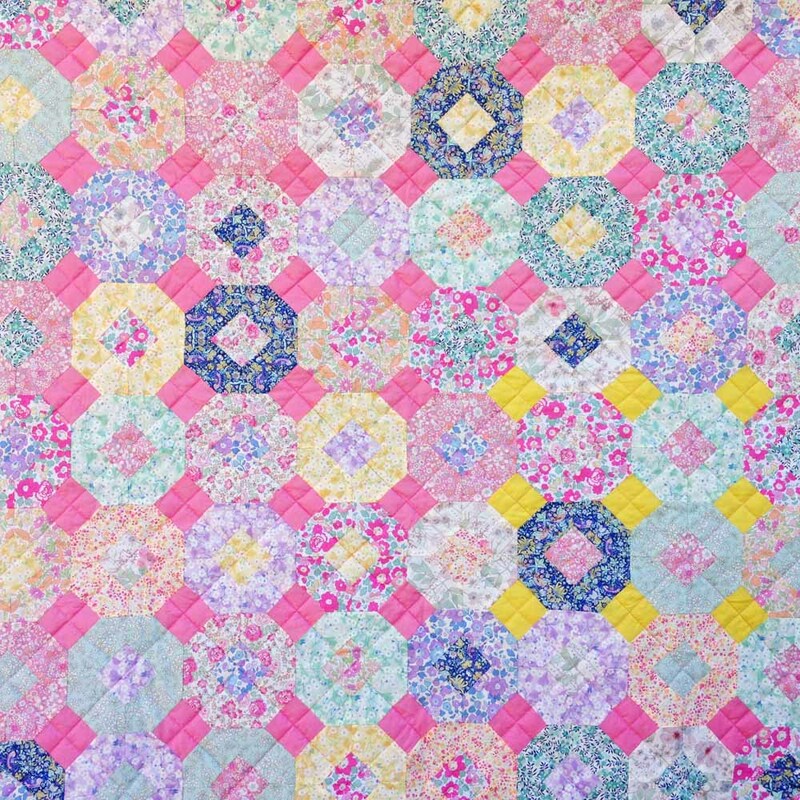 Plain Liberty is cleverly used in the blocks to break up the pattern. The bright yellow binding looks really lovely next to the Cotswold stone of the studio. 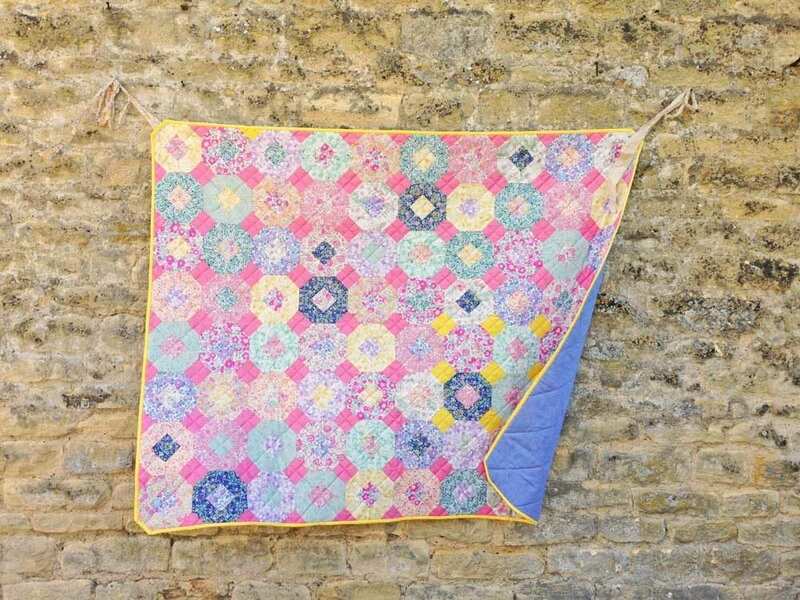 it also ties in beautifully with the scatter of yellow squares in the quilt. 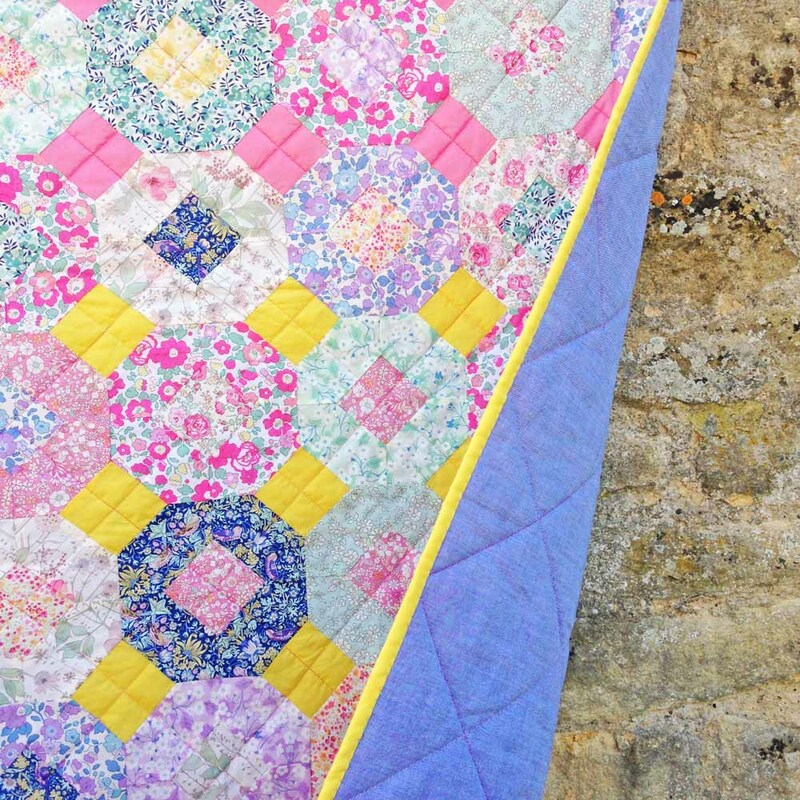 A close up of the design which showcases the exclusive Liberty fabrics really well. 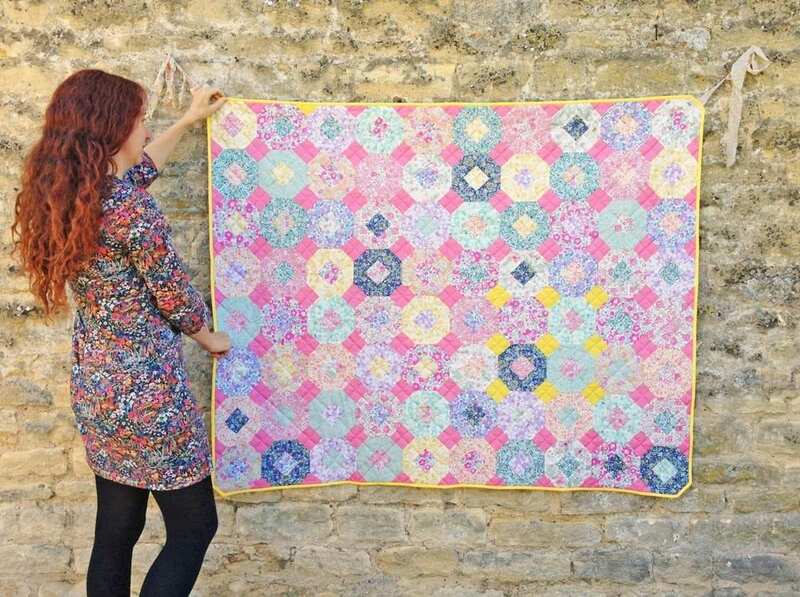 Tracy has backed the quilt in a plain blue which is really pretty. This is a quilt that will be treasured by the new owner when I deliver the quilts in November. 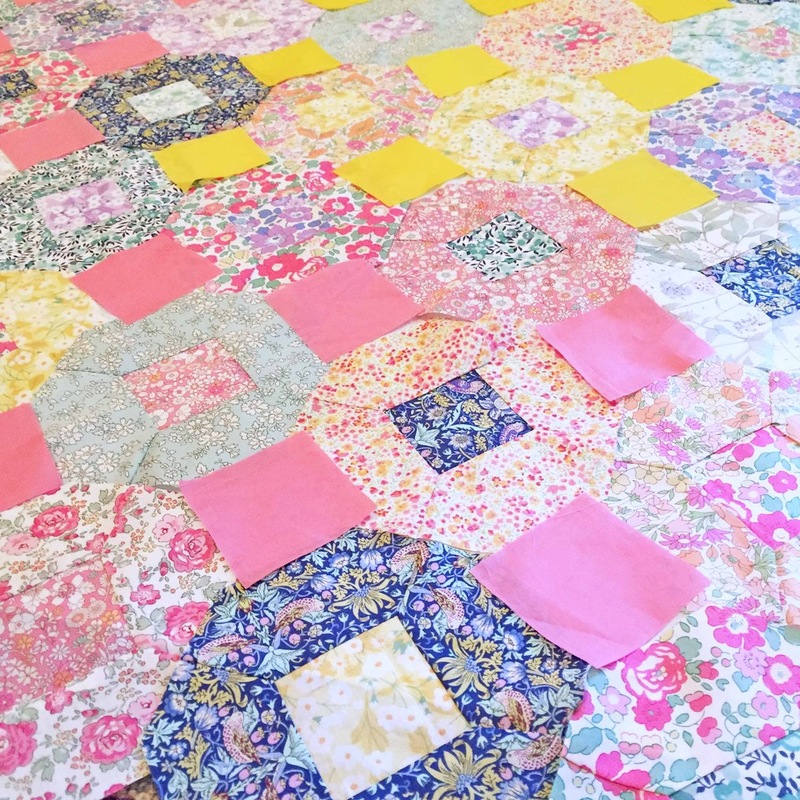 If you want to take part in the Quilt SOS project, you can take a look here. Thank you so much Tracy and to all of those quilters who have taken part this year and in past years.